My target is 27 feet away and I have 4 degrees to work with. How can I possibly hope to hit a 1 inch target that far away, consistently? I prepare properly! Watch a professional bowler set his feet on the approach, take his grip, align his body, start his swing and release the ball with their dialed up rotation and throw at their target. Absolutely nothing left to chance. However, he will need to deal with the oiling pattern applied on the lane and how it changes. 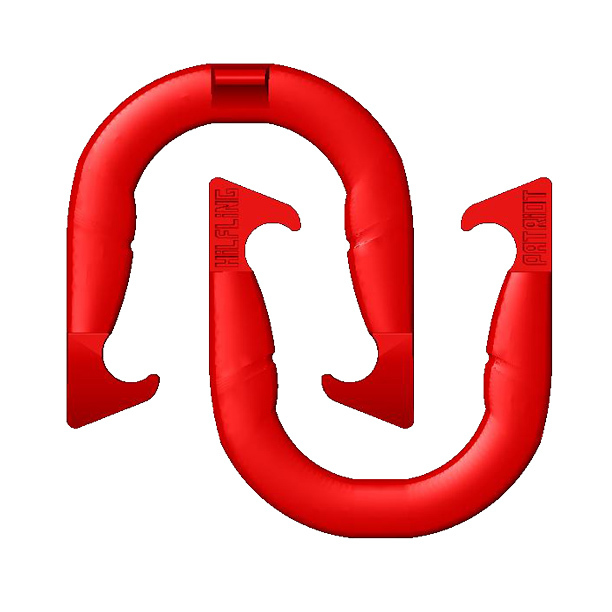 The horseshoe pitcher has an advantage at any given NHPA sanctioned site. They don’t have to worry about changes in lane conditions. 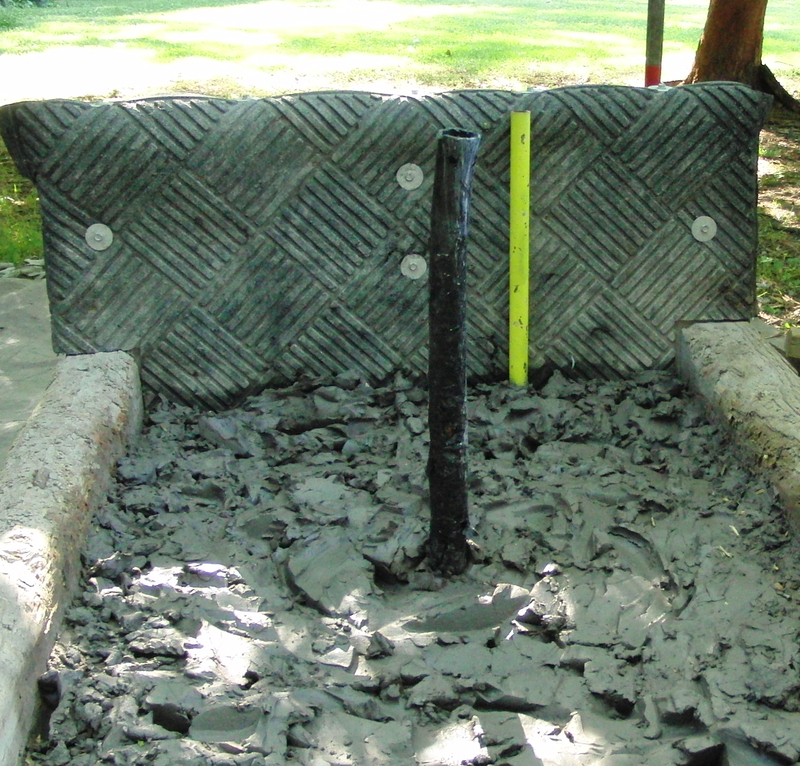 The NHPA provides some latitude in the shape and material of the pit, as well as the approach width. 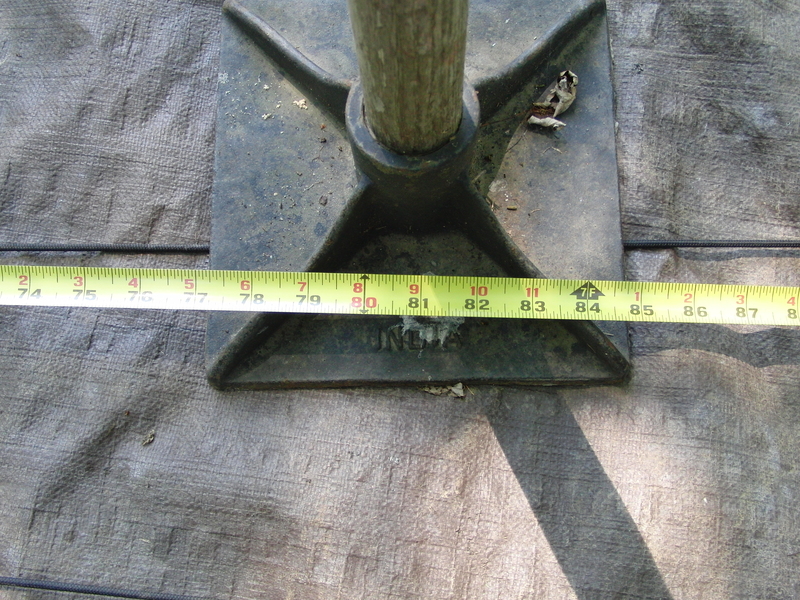 However, 40 feet from stake to stake, and a 37 and 27 foot foul line is required and the pits are level. 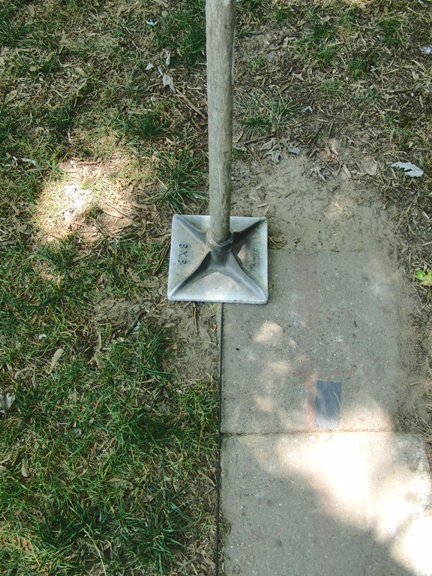 In general, most NHPA sanctioned horseshoe pits are clay, some with sand, 3 feet wide and 6 feet long, stake angled properly, 15″ high and approaches 18 inches wide. The backstop is usually 36 inches wide and 12 inches high at the back of the pit. So, where possible, we’ll use these constants to our advantage. Here are the constants we’ll work with from the left approach. 1. Foul line on the approach you are standing on is 27 feet from the distant stake. 2. Somehow mark the location of where the 30 foot stake would be located relative to the left approach. Some NHPA sanctioned sites will have a locator placed on the approach to show the 30 foot stake location. In the photos below I’ve placed a stake at the 30 foot location for reference purposes. 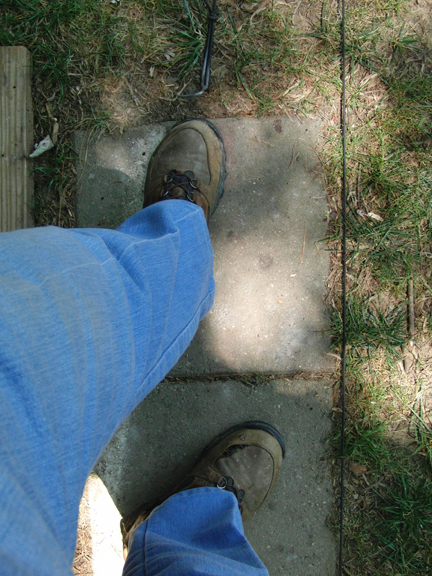 The right edge of the left approach I am standing on is 18″ to the left of the 30 foot stake. 3. The 30 foot stake adjacent to the left approach is 36″ behind the 27 foot foul line. 4. Looking at the distant stake. 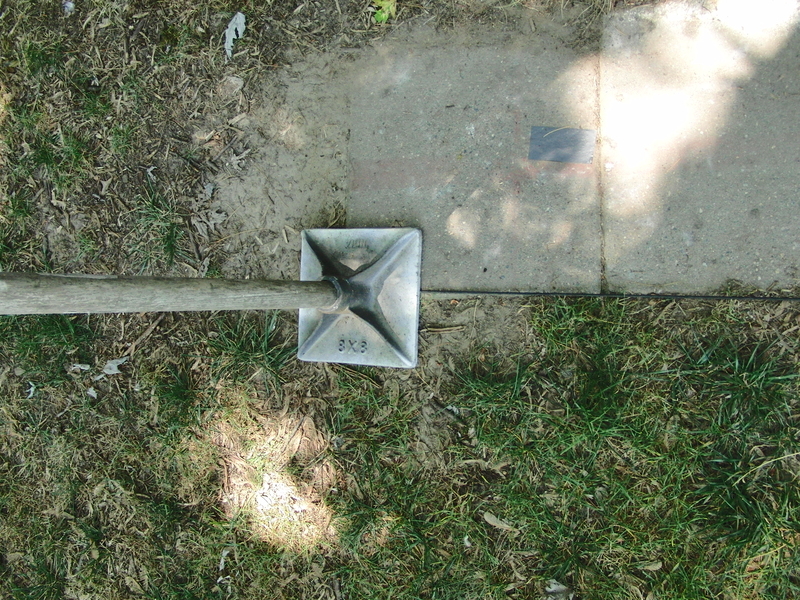 The left edge of the distant approach to the right of the stake, is 18″ to the right. 5. Looking at the distant stake. 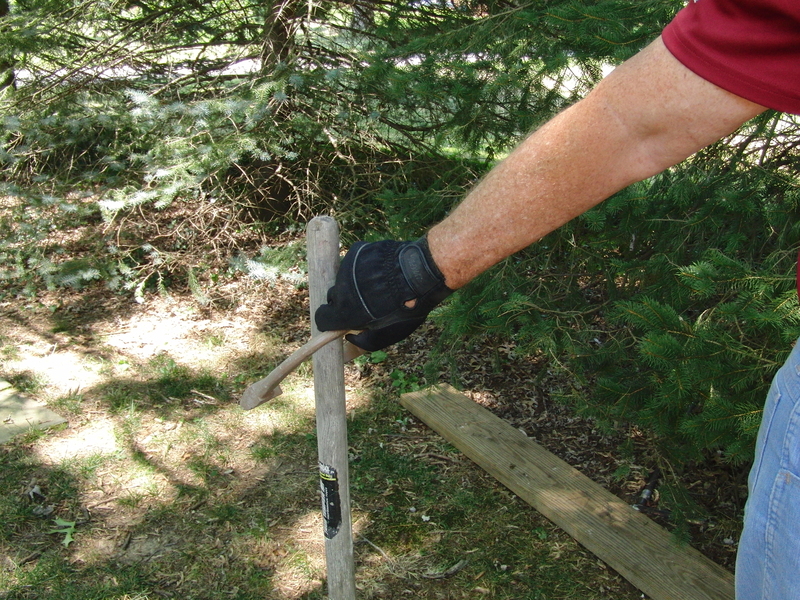 The right edge of the distant approach to the right of the stake, is 36″ to the right. This is important, as the far right edge of the distance approach has become my Visual Alignment Point, located 33 inches horizontally and at eye level vertically from the distant stake, when I swing the shoe up to eye level. This location is not arbitrary. 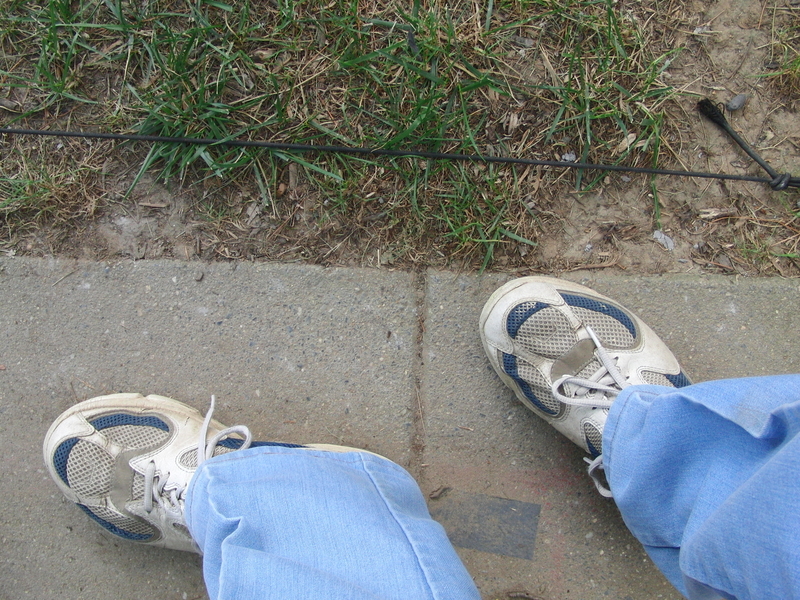 The Visual Alignment Point (VAP) is automatically determined for me when I swing the shoe up to eye level while the center of gravity of the shoe is vertically directly over the Line of Flight cord. It is where the left shank of the shoe points. I determine this location while a plumb is directly over the LOF cord. This location is determined after you take your stance on the approach. I only had to do this one time. After that, it is my VAP constant and I swing up to this point for every shoe thrown. Previous parts of this blog show how to personally determine your VAP. 6. 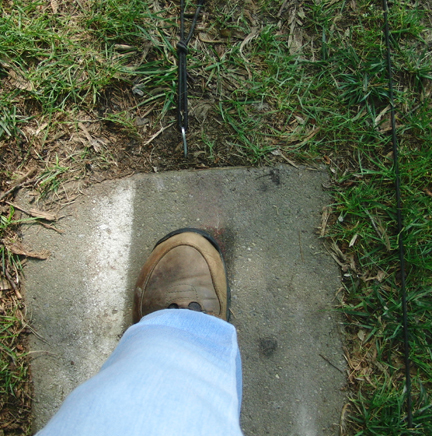 The Line of Flight (LofF) cord stretches from the distant stake to a position 3-1/2″ to the right of the left approach adjacent to my right leg. 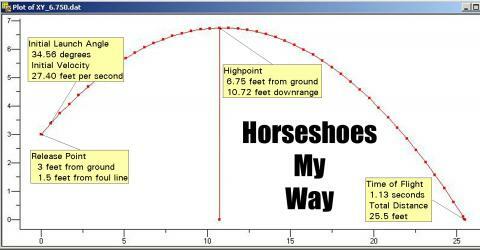 So, when the left shank of the horseshoes is directly over the edge of the approach, the center of gravity of the horseshoe is directly over the Line of Flight cord. 7. 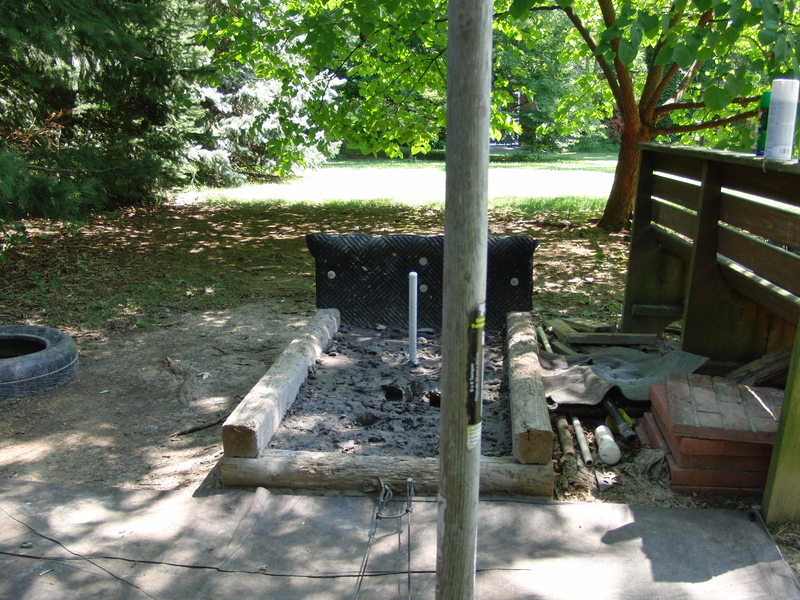 Place a piece of PVC pipe or old stake directly behind the primary stake or whatever you can find to make sure your head does not move to the left or right. As you stride forward make sure the relationship between the primary and secondary stake does not change. In other words, make sure your head moves directly at the primary stake during your stride forward. The photo below shows the location of the 30 foot stake relative to the right edge of the left approach 18″ to the right and 36″ from the foul line. The photo below shows the location of the 30 foot stake from the 27 foot foul line. The photo below shows my stance relative to the right edge of the approach. My right foot is rotated approximately 35 degrees rightward and my left foot is rotated about 10 degrees and pointing directly at the right corner of the approach. From this position, I have already taken my grip, verified that the left shank of the shoe is aligned with the edge of the approach and the center of the shoe is directly over the LofF cord. I have also placed my left hand on the front of my left thigh (see below). Using this setup establishes my repeatable pitching posture. From this position I am ready to begin my swing upward to my Visual Alignment Point (VAP). Here is a tip I have found useful for aligning my body correctly. I pitch with a sports shirt that has a centered vertical line that I use to align my shoulders properly relative to my left foot and my VAP. From the stationary stance position, I swing my arm up to my Visual Align Point (VAP). I have covered the VAP in many previous parts, but, in a nutshell, it is the location of the left shank of the horseshoe when horizontal to the ground while the center of gravity of the horseshoe is still directly over the LofF cord. My personal VAP is at the right corner of the distant approach 36″ to the right of the stake, one of the constants mentioned above. I make sure that my right arm is fully extended without any break at the elbow. From the VAP, I smoothly swing back as close as possible past my right leg, trying to return the shoe to it’s original setup location and to my Backswing Stop Point (BSP). I’ve also covered the BSP in previous parts. In brief, it is the location of where your arm stops moving backwards naturally. It is imperative that you hit this spot every time on the backswing. For some reason, I feel that hitting this location on the backswing sometimes puts me back on the LofF if I’m slightly off. From the time you start your forward swing to your VAP all the way to the BSP you have only moved your arm and nothing more. When you hit your BSP, you start the forward swing and stride forward simultaneously, keeping your left hand firmly planted on your left leg and your right toes firmly planted on the approach. Make sure your head and eyes move directly at the distant stake. I will explain all three below. Stride forward. Right foot remains planted. You must move your body in a straight line to the stake, your shoulders don’t rotate and your body remains balanced. As you stride forward keep your head and eyes directly at the stake and don’t allow your head, which controls the rest of your body, to move to the left or right. The secondary stake is your monitor. Keeping your left hand on your left thigh is an important aspect of this method. When we stride forward with the left foot our normal tendency as humans is to rotate the shoulders counter-clockwise. This is what we do as we normally walk, right arm and left foot and left arm and right foot. Keeping your left hand on your left leg restricts the normal tendency to rotate the right shoulder leftward, throwing the horseshoe offline to the left. Keeping the right toes planted does a number of important things. It controls the length of your stride forward. It acts as a rudder to maintain your stride direction, and; it maintains your balance when releasing the shoe. Don’t try to keep your right foot flat on the approach, allow your heel to rise up. If you have done this correctly, I can simply return to my stance and my right foot does not need to be reset, ready to throw the second shoe. Left hand resting on left leg. With or without shoe. In the photo below I have placed the shoe on the ground to define the relationship with the left shank and the center of gravity over the Line of Flight cord. Naturally, you would be holding the shoe in this position when taking your stance. Horseshoes left shank on edge of approach, center over LofF cord. I don’t believe in the old adage “close only counts in horseshoes”. My goal is a ringer every time. However, if I miss, I want to try to salvage a point. I’ve covered that topic which describes “Drop Angle” in a previous part. If you want to add an additional pitching aid, simply find a 15″ used tire and place it over the stake while practicing. The pitching season for 2011 is over for the year. Between tournament pitching and design, it’s been a very productive and rewarding year. The season was ended with second places in the Maryland Singles and Maryland Doubles, topped off with a first place in the HP Pro Tour event in Frederick, Maryland for Class 2–30 feet. I also won the Maryland Points Challenge for 2011. 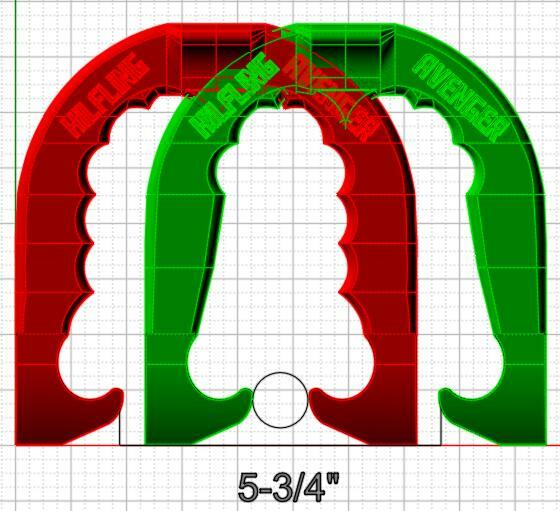 Design wise, I completed the design of three new horseshoes which were approved by the NHPA. In addition, I completed the design of 4 additional models, all of which have been 3D printed and and sent to the foundry for prototype casting. These 4 designs are scheduled to be returned the first week of November. Each of the new designs are discussed below. Three designs, two of which are part of the Tribute Series were submitted to the NHPA for approval. All three were approved by the NHPA on 10 September 2011. Testing is underway and decisions about production will be made after testing is completed. Each of the three is discussed below. 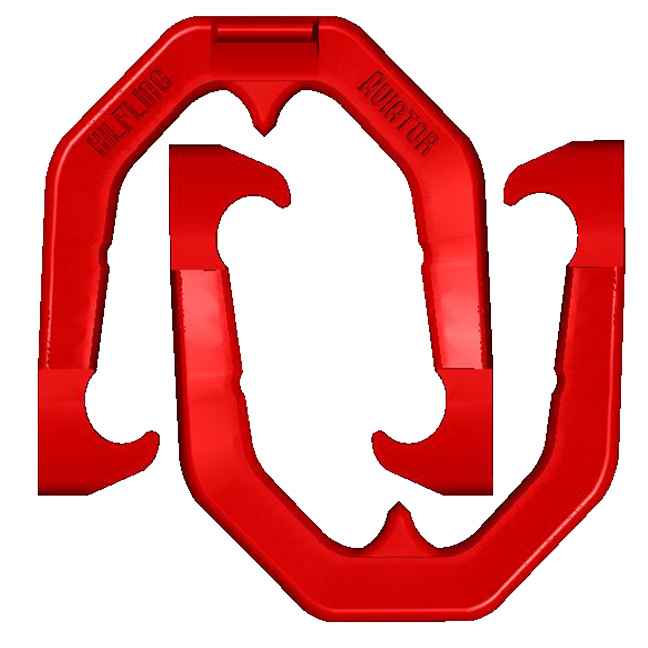 Each of the horseshoes includes a Hilfling designed hook calk which is the same on both sides. 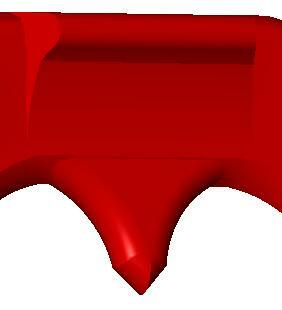 This design permits a flip shoe with thumb calk up, to be turned with the thumb calk down. Click any image for a larger view. The Aviator — is the first approved as part of the Tribute Series and is dedicated to the U.S. Air Force. It is similar in appearance to the Steinfeldt horseshoe of old. This horseshoe, like most of the Hilfling shoes is perfectly balanced. 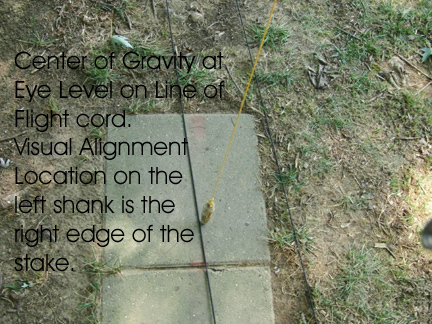 There is a shank notch to define the Center of Gravity point. 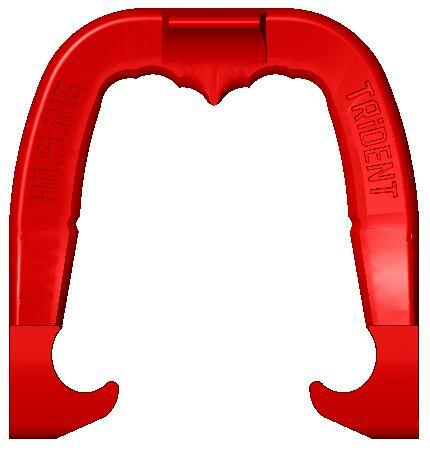 The Aviator is perimeter weighted around the outer perimeter and includes the Hilfling hook calk for the flip or turn. The Trident — The Trident is the second in the Tribute Series and is dedicated to the U.S. Navy. The Trident has a unique ringer break, is perimeter weighted, shank notched and perfectly balanced. 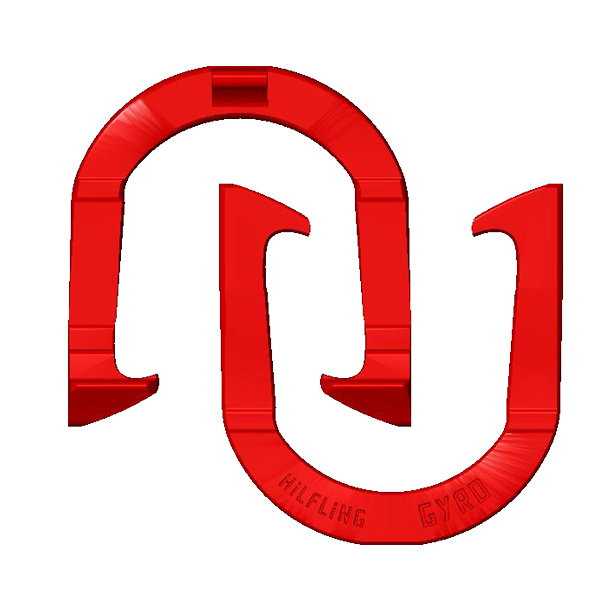 The ringer break is designed to give the flipper the option of flipping square, open or closed. The position of the index and middle fingers will dictate which of the three choices control the flight of the horseshoe. The indentations around the ringer break fit the reverse flipper perfectly. The Hilfling hook calk is incorporated. The Eagle — The Eagle is the third of the three designs approved by the NHPA. The design was an experiment in an egg-shaped shank. 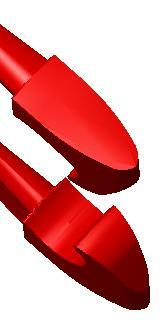 There is a small ringer break and an indentation to define the center of gravity on each shank. The shoe can be flipped or turned with the Hilfling calk. The four designs below have all been 3D printed and shipped to the foundry for prototype casting. Candidates for NHPA approval will be submitted to the NHPA. Two of the shoes are part of the Tribute Series. The Warrior dedicated to the U.S. Marines and the Patriot dedicated to the Vietnam Veteran. The Warrior — is dedicated to the U.S. Marine. 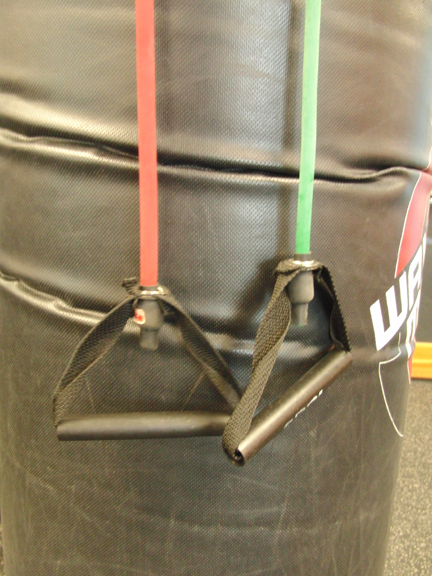 The Warrior is perimeter weighted, balanced and can be flipped or turned. It takes advantage of the full width and height permitted for any approved horseshoe. This is a great shoe for capturing all of those important single points. The Torque — The Torque is the most unusual horseshoe I’ve designed. It is roughly based on the shape of the Aviator. It has been my observation that a shoe that arrives slightly rotated either open or closed reduces lost ringers. This shoe allows the pitcher to grip the shoe normally, but, will apply an automatic rotation depending on which side is flipped. First, it has a thumb calk on both sides. The center of gravity has been relocated to force the shoe to rotate clockwise or counter-clockwise depending on which side is flipped. Normally, causing this rotation is a function of the location of your thumb on the calk. I have found that it is easier to allow the shoe to rotate automatically without changing my thumb position on the calk. The shoe should be gripped and flipped as usual, but, it will rotate slightly prior to arriving at the stake. The pitcher decides which rotation is best to eliminate bounceback or unwanted rotation around the stake. I pitch from the right side and have found that a shoe that rotates counter-clockwise works best for me. Normally, a shoe coming in from the right will continue rotating clockwise. I find that forcing the shoe to rotate counter-clockwise reduces the amount of rotation, in sand or clay. 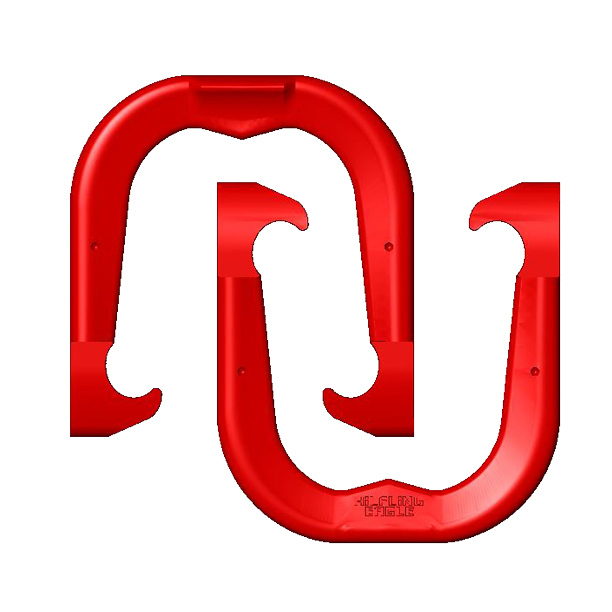 This should help eliminate losing ringers that are pushed off backwards. 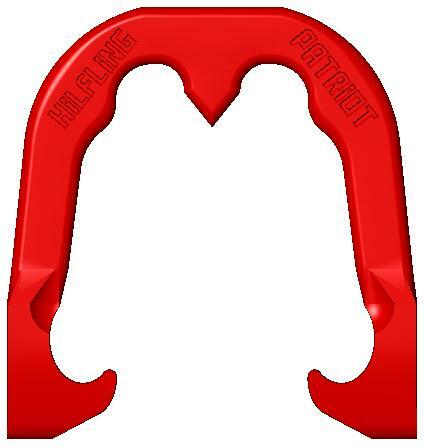 The Patriot — The Patriot is dedicated to the Vietnam Veteran. This is specifically a turn shoe. In addition, the thumb calk is narrower and raised to the same level as the height of the hook calks. I’ve made the shanks a bit wider at the center of gravity. 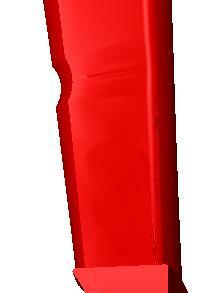 I also designed this shoe to be easily changed to a flip shoe. This Patriot is designed more for the finger turner. It also works particularly well for a flip-turn as the shoe should arrive with a 3-point landing. 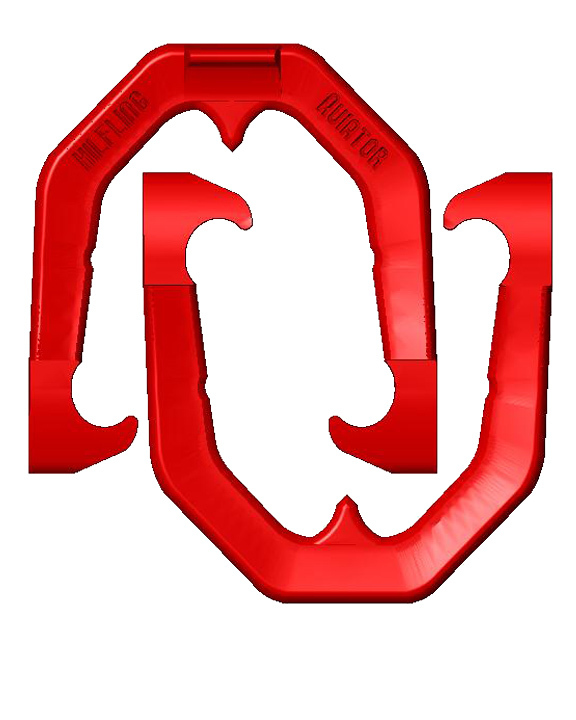 The hook calks are with the traditional skid plates. The Gyro — The Gyro is a departure from my normal design. It is roughly designed after the Ted Allen. It is specifically a turn shoe. Again, the thumb calk is narrower and higher than traditional thumb calks. This is a turn shoe for the hand grip. Continue to Part 33 for a description of an alternative stance and two shoes for possible production. I’ve spent the past 4 years trying to perfect my approach to flipping a horseshoe. Starting with this Part, I will be discussing and describing my current method. Along the way I have adopted and rejected various swing thoughts, stances, flights, etc. I would like to start with a series of observations and facts based on my own experience and watching others of various skill levels. Fact — Newton said (I paraphrase), “A horseshoe in motion tends to stay in motion”, and, “a horseshoe at rest tends to stay at rest”. 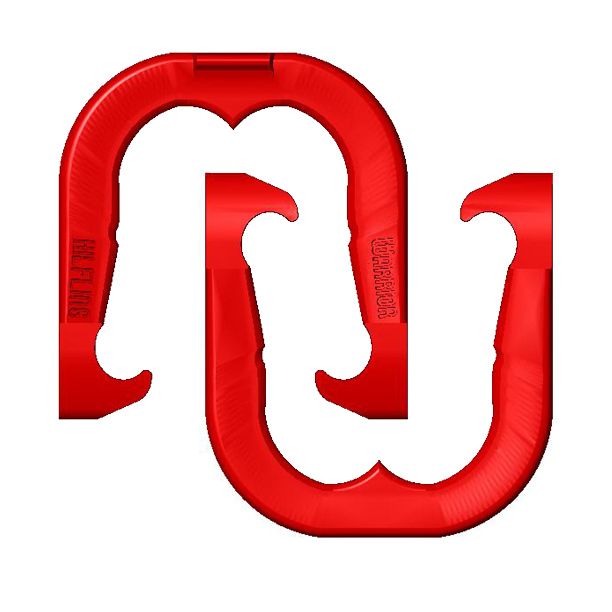 A horseshoe will neither turn or flip without the action applied by the pitcher. 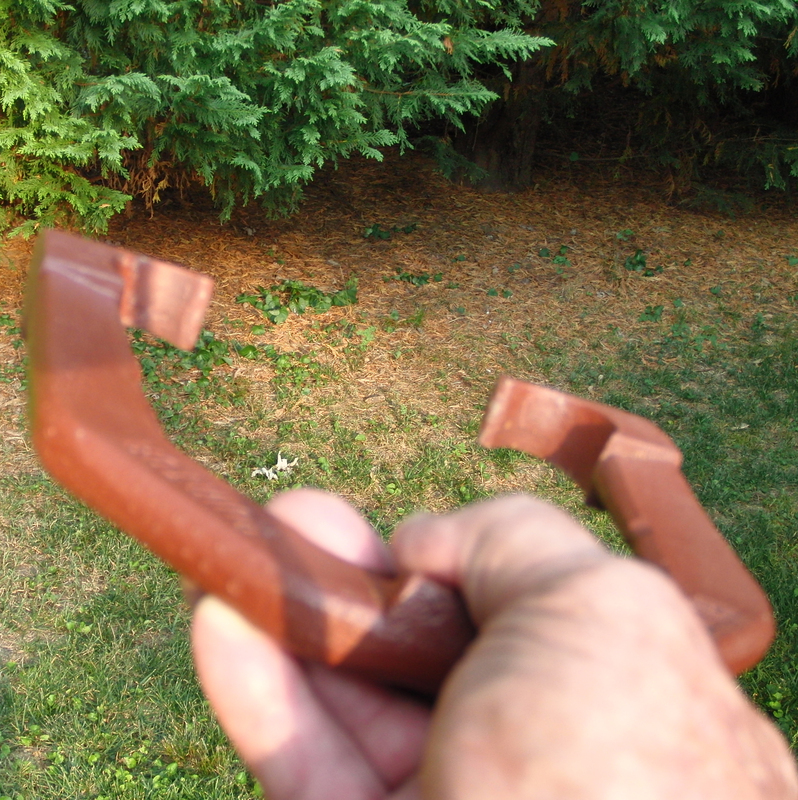 Observation — A shoe that arrives at the stake un-square reduces the potential for bounceback rejection. Moving the thumb left or right of center encourages an un-square arrival. Observation — The pendulum swing is the most reliable. A break at the elbow violates the rules of a pendulum. 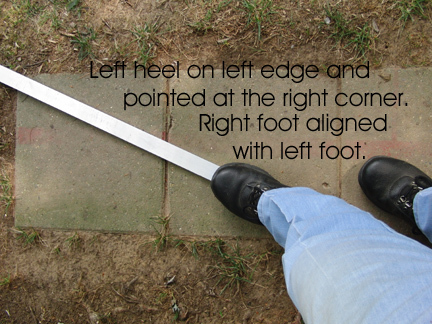 Further, when it straightens the shoe will go to the right. To test this, hold a shoe at your side with a slight bend at the elbow and watch the effect of straightening the arm. The shoe will be pushed out to the right. Centrifugal force will tend to do the straightening. A pendulum follows the same swing path from the backswing through the forward swing. Typically, the arm swings vertically and perpendicular to the ground. This does not mean that you need to swing your arm like a Christmas toy soldier. You can also swing in front of your body as long as it follows the rules of the pendulum. Fact — The head is the heaviest part of the body. Where the head goes, so goes the shoe. Where the head goes, so goes the shoulder. Where the shoulder goes, so goes the shoe. The pitching method that I will describe controls the movement of the head and shoulders. Fact — You cannot bring the shoe up in front of your eyes and sight to the stake and perform a pendulum swing. The only way to throw down the target line is to loop the swing during the backswing. Observation — The backswing must be slow enough to give enough time to plant the striding foot before releasing the shoe. Not setting the body in a balanced and established position will result in uncontrolled flight effecting flip or rotation, height and distance. Observation — You must start the downswing by bending at the waist with your head starting downward and without moving left or right. Observation — You must keep your pitching arm fully extended throughout the swing. 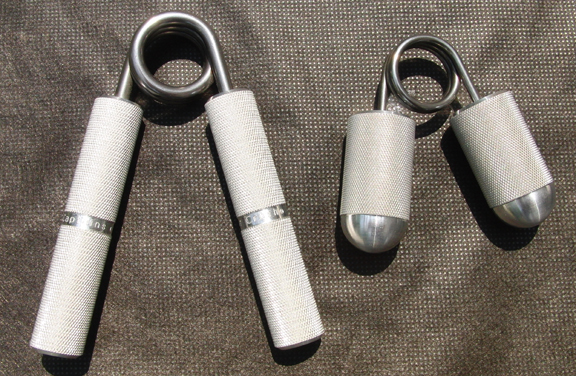 Observation — Your drop angle must be sufficient enough to secure the all important points if a ringer is not made. Observation — A flipper will never beat a turner if you don’t drop the shoe in as softly as possible and concentrate on distance control. Fact — You cannot look down the target line if you take a square stance. 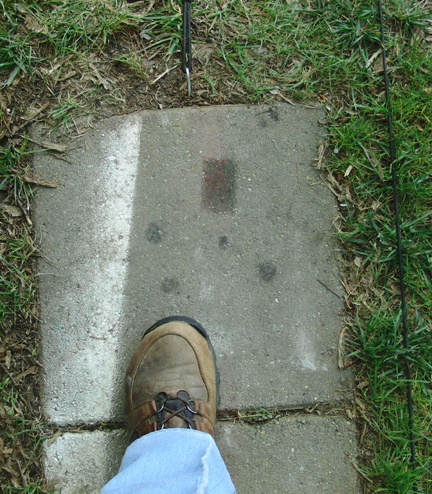 To look down the target line you would have to bend to the right so far, you would lose you balance. To the casual observer horseshoe pitching seems a simple, uncomplicated game. Trying it for the first time will quickly reveal how difficult it really is. There are a large number of variables that determine the ultimate result. Most of our champion horseshoe pitchers started when they were very young and grooved their method over many years of practice and competition. The horseshoe pitcher must learn to control the many variables that means success or failure. Let’s look at a few of the important ones, any fault among them will cause a miss. 1. The arm swings off the Line of Flight. 2. The stride forward goes left or right. 3. The pitching shoulder rotates incorrectly. 4. The head shifts left or right thus pulling the shoulder along. 5. The shoe is thrown when the body is unbalanced. 6. The shoe is thrown with the wrong velocity. 7. The shoe is thrown to the wrong height. 8. The shoe is flipped or turned incorrectly. The Stance — The proper stance is the key to success with this method. This technique allows you to look down the Line of Flight during the forward swing. There are two directional killers while pitching horseshoes, the head and the shoulders. If you move your head left or right, your shoulders will follow with unpredictable results. If you allow your shoulders to rotate, you will typically miss left. The photo below shows my stance. The distance from the foul line is an individual thing. Some folks stride shorter or longer than others. However, this is the stance. 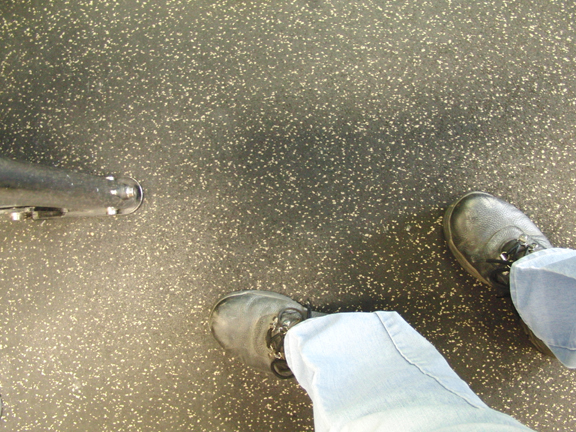 On the right approach (I’ll cover the reason later), your left heel is at the left edge with your shoe pointing directly at the right corner. Your right shoe is slightly away from the left edge and slightly forward of the left shoe. Your right foot should be rotated around slightly. Your upper body should be rotated around to the right so that the left shoulder is within your peripheral vision. Your left hand should rest on the left thigh. 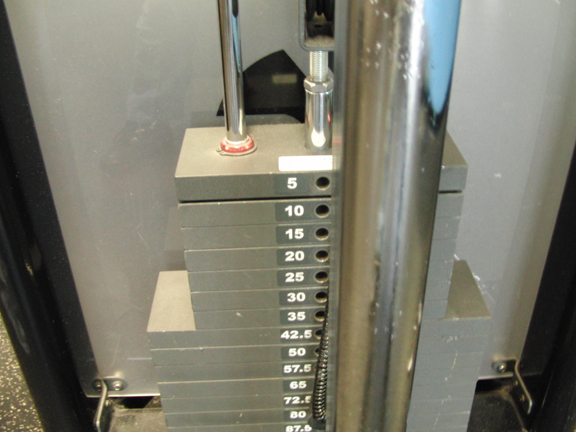 I had to switch from a long shoe retriever to a shorter one to avoid hitting the retriever during the forward swing. When you step forward with the left foot, your left heel should end up on the left edge of the approach and just short of the foul line. The aluminum rod is for demonstration purposes only. It indicates that the left foot points directly at the right corner. 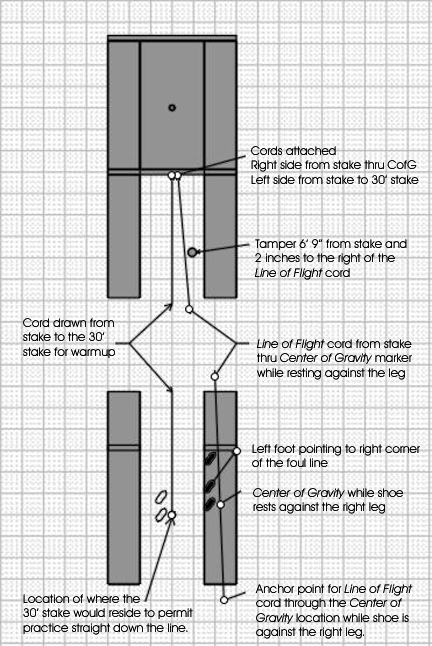 Defining the Line of Flight — The Line of Flight is a straight line from the stake to the Center of Gravity (CofG) of the pitched shoe. To locate the CofG at the approach perform the following steps. If possible, purchase about 40 feet of stretchable cord. I found mine at a boat supply store. Use cord or string as an alternative. 1. Tie a weighted string to the back of the center of the thumb calk. 2. 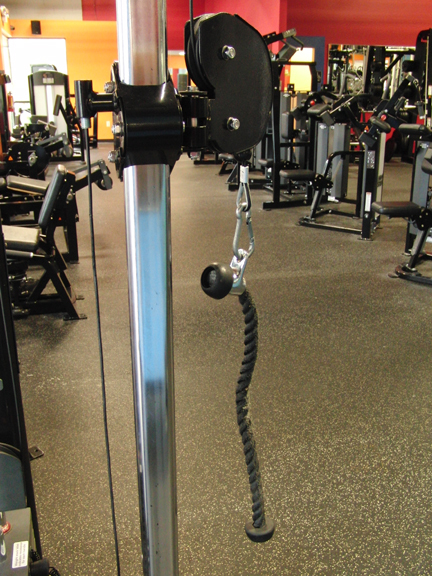 Rest the horseshoe against the right leg and mark the spot directly below the weighted string. The photo below shows a stretchable cord below the CofG of the horseshoe gripped and against the leg. To find the “Line of Flight”, loop a string, cord, etc., around the stake and draw it from the stake to the approach and over the CofG mark on the approach and anchor it a foot or so behind the approach. Mark the location on the front of the pit and drive a nail or hook and move the cord from the stake to the hook or nail. Pull the cord or string taut at the anchor behind the approach. You have now created a line from your CofG of the horseshoe directly to the stake. 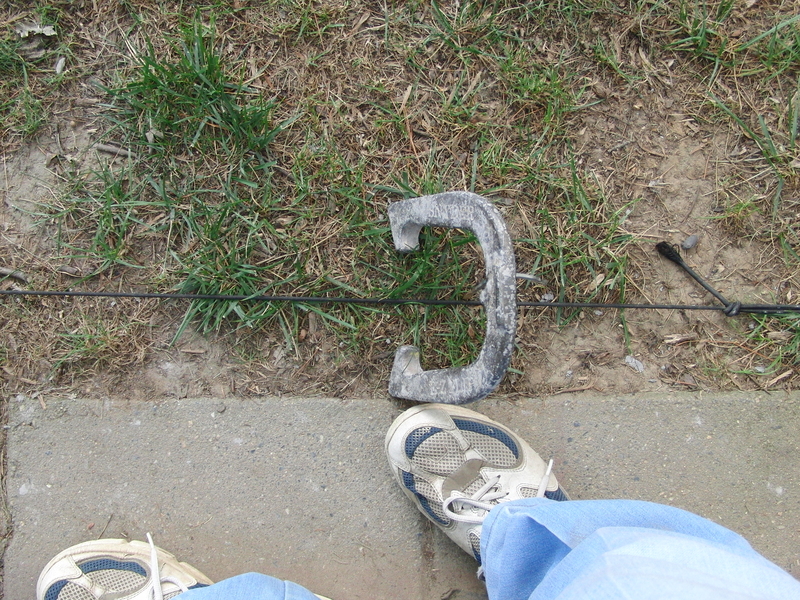 This “Line of Flight” defines the flight of the horseshoe from approach to stake. 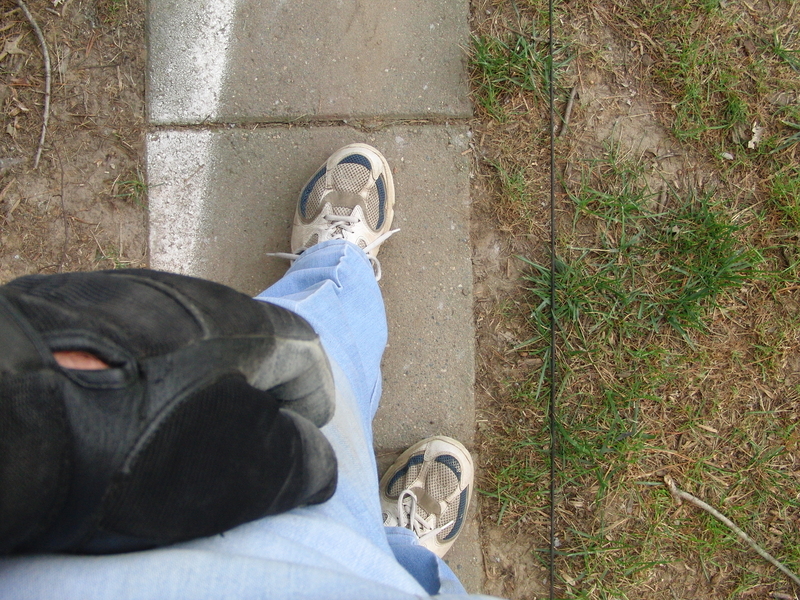 To find the “Visual Alignment Point”, return to the approach, take your stance with shoe against your leg and the shoes CofG directly over the newly defined “Line of Flight” string. With the same weighted string attached to the horseshoe, raise the horseshoe from your leg with your arm fully extended and eye high. When the weighted string is directly over the cord/string on the approach make note of where the left shank is, relative to the stake. This will be your “Visual Alignment Point”. The photo below shows the shoe directly above the cord when at eye height. Horseshoe extended directly over the "Line of Flight"
Shoulder Alignment — As humans, we all walk about the same. As we step with the left foot our shoulders rotate around to the left. We need to overcome this tendency. I have found that when the stance described is taken, the left shoulder becomes visible in our peripheral vision. To stop the shoulder from rotating I rest my left hand on my upper thigh above the knee, with or without shoe and retriever. A little pressure with my left hand retards the normal rotation of the left shoulder, keeping the right shoulder and arm on the LofF. Controlling the Head — The last thing I need to do is control the head movement. I introduce the “tamper”. The tamper performs double duty. It not only controls my head movement, but, the “Drop Angle” as well. It’s an excellent choice, as if I hit it, it just flops over and just needs to be reset. I always felt it was awkward to try to hit a target that I could throw up to, to try to control my launch angle and resulting drop angle. I use a tamper for my clay and one day I put it over the LofF cord about 8 feet from the stake and used it for an aim point and height controller. Recently, while studying the “Drop Angle”, I calculated that at least 30 degrees was required to keep the shoe in point range. My tamper was the perfect solution. 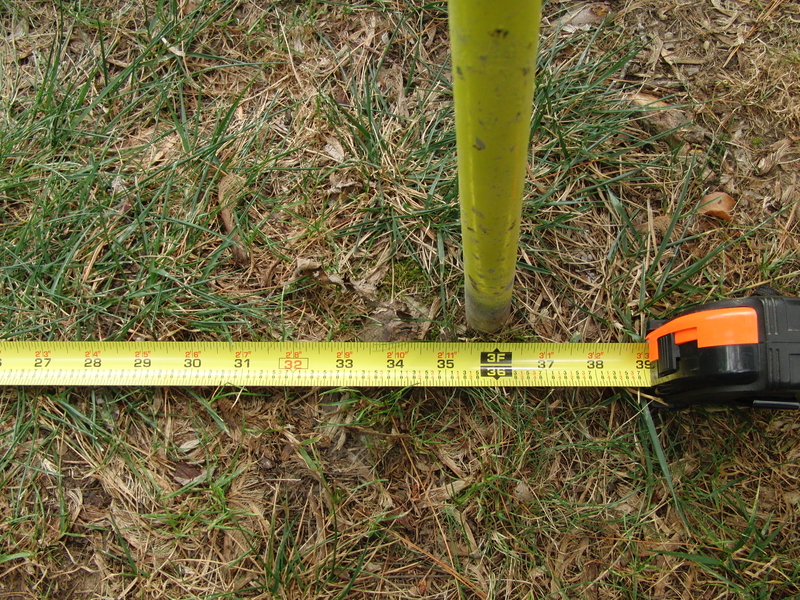 I calculated that at 43″ high I could put the tamper at 6 feet 9 inches from the stake and if the shoe went over the tamper I was at least at a 30 degree drop angle. An added bonus was to discover if I put the tamper 2″ to the right of the LofF cord, I could monitor my head movement going left or right. It turned out to be an incredible practice tool. The photo below shows the view of the tamper slightly right and what I see from the approach. 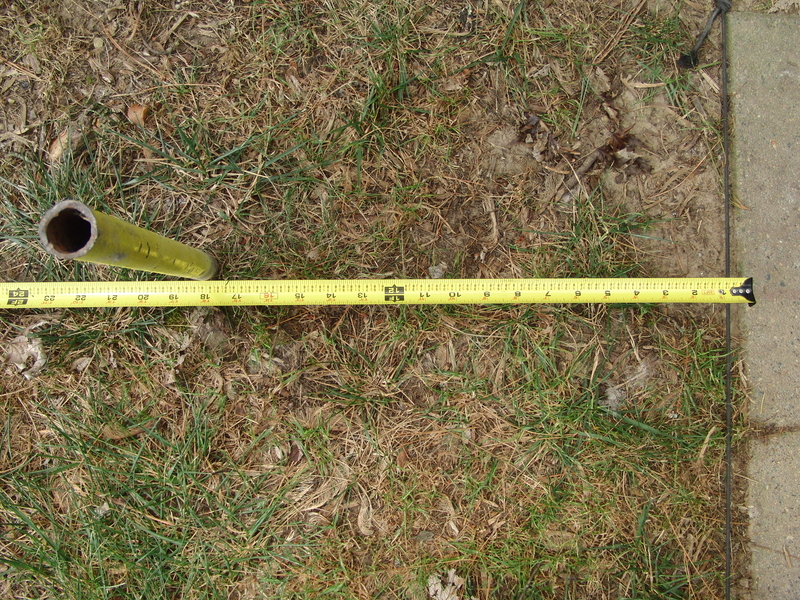 The photo below is the location of the tamper which is 81″ from the stake and 2″ to the right of the Line of Flight cord. The gap between the stake and the tamper is what I use to make sure that my head does not move to the left or right. 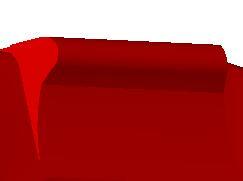 The image below is a representation of where to position the tamper for a drop angle of 30 degrees and 45 degrees. I consider 30 degrees to be the minimum drop angle for salvaging points. I also consider 45 to be the maximum as anything over 45 degrees requires an increasing amount of effort. 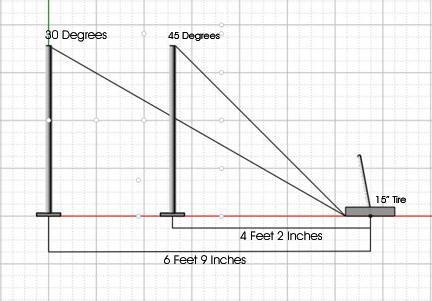 So, the drop angle range should be between 30 and 45 degrees. 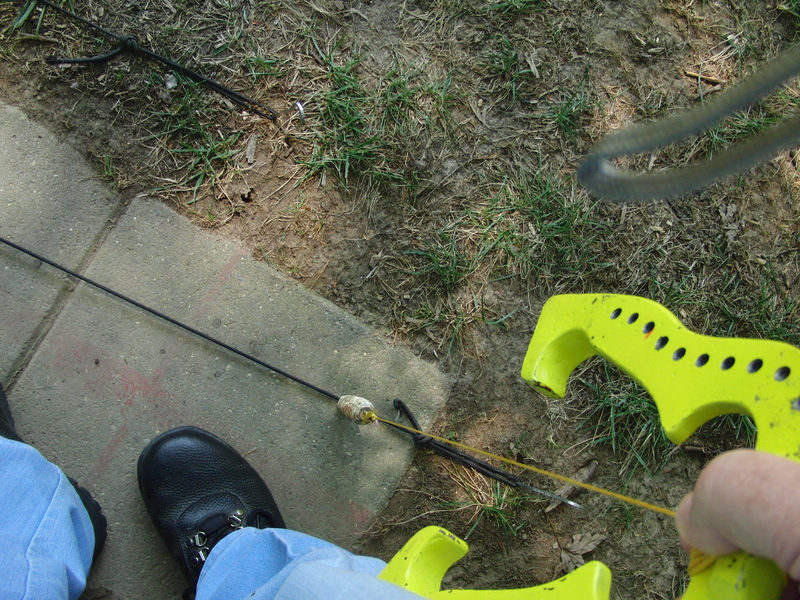 One More Thing — I sometimes put a 15″ tire over the stake to insure that I am within point range while I am practicing. Let’s Practice — Here are the steps by the numbers. 2. 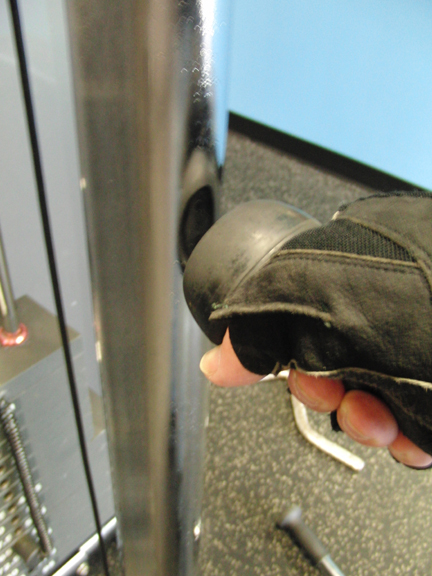 Take your grip. Consider moving the thumb left or right. 3. Place your hand, shoes, retriever on left thigh. 4. Rest the shoe on your right leg. I tap the shoe as a locator. 5. Extend your arm and swing up to the Visual Alignment Point. 6. Start the downswing by bending at the waist slightly, with your eyes on the gap between the stake and tamper…swing or drop your arm down sloooowly. 7. Pass the shoe as close as possible to the leg. 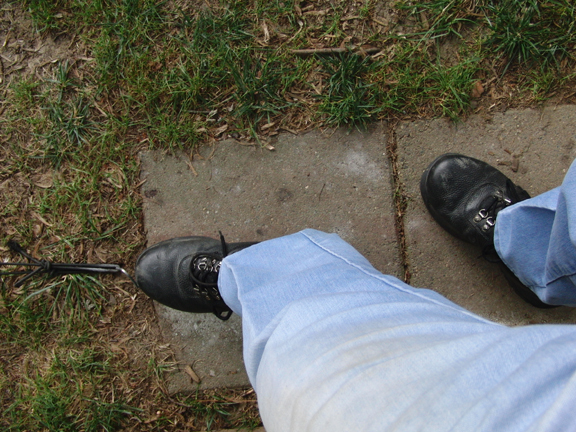 Ticking my pant leg slightly without upsetting the backswing, is a bonus. 8. Start stride forward when the shoe passes the leg and plant the left foot close to the left edge of the approach. 9. Your arm swing back and through, along the LofF, should take the shoe directly to the stake and under your eyes. Release the shoe with enough height to pass just over the top of the tamper. Why the Right Approach? — I feel that throwing from the left approach causes the shoe to arrive too squarely, thus, more bouncebacks. Moving to the right side reduced the bouncebacks as the shoe hits the stake more of a glancing blow. The image below is a layout of the practice pit that I have described above. 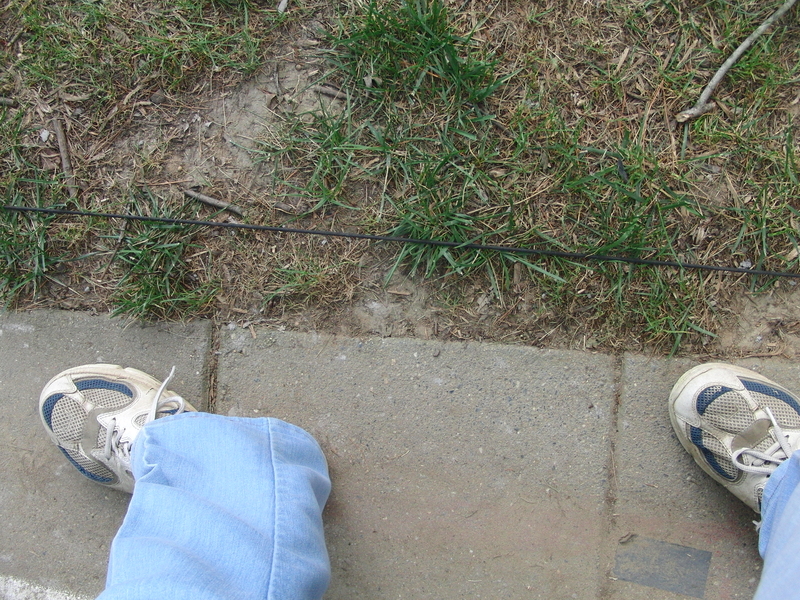 Note that I have a second stretchable cord from the one stake to the other. I like to get the feel of throwing straight down the target line which will surface any tendencies that I might have for that day. Continue to Part 32 for a description of 7 new shoes.